There are two ways that you can use for tracking the market on your display. The first is using a widescreen monitor which can help you to split the screens and run multiple applications at the same time. And the other is to use multiple monitor setup (dual monitor, triple monitor, and even quad monitor configurations are used by the professionals today). So, I have included the best single screen displays for dual or triple monitor setups and the best widescreen monitors for your stock trading. Let’s have a look at them. 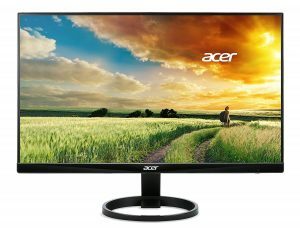 The Acer R240HY will provide a reliable picture quality on its 24” screen. It’s zero frame design makes it perfect for a triple monitor setup. Now, you do not have any reason to miss out the updates on the stock market, and your bar will only get high when you get this display. Its widescreen panel offers a Full HD resolution of 1920 x 1080 pixels. It has a 60Hz (75Hz when you overclock) refresh rate and a 4ms response time which will show detailed and sharp pictures. To connect your devices, this monitor has one HDMI port, one DVI port, and one VGA port. The innovative ‘Flicker-less’ technology from Acer will reduce eye fatigue when you spend hours in front of the screen. This IPS panel has a 100M:1 contrast ratio & a 16:9 aspect ratio which means you will get crystal clear and detailed viewing of the content. The in-built blue light filter and ComfyView feature from Acer will reduce the flickering and screen glare. Acer power saving technology will also help to reduce the energy cost and resources. The company will provide a 3-year warranty on the product. 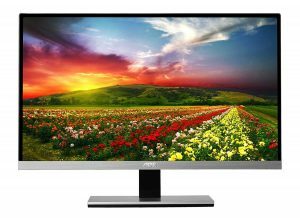 This budget-friendly monitor from AOC will meet all the STT needs and results as one of the top choices for a trading display. Its ultra slim design with a frameless structure make it perfect for multi-monitor setups. Moreover, this screen consumes 50% less energy than the traditional monitors and is completely toxic mercury free. The 2mm narrow bezel gives you a virtually borderless display to get a full view on the content. smudges on the screen which means you will get a precise look on every trading info. This 23” Full HD screen offers a resolution of 1920 x 1080 pixels with a 50M:1 dynamic contrast ratio. It has one VGA port and two HDMI ports for the connectivity to your second monitors, gaming consoles, and other compatible devices. The IPS panel has the 99% sRGB ratio which means you will get an authentic viewing experience from any angle to the screen. The Screen software company allows you to split the screen into four work areas to boost your productivity. It comes with a VESA compatible detachable stand to help you set the monitor as per your comfort and even use it for photo frame applications. Whether you are a professional or a business person or a student or a typical user, you can rely on Dell monitors for their performance in every aspect. 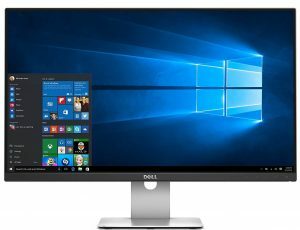 The Dell S2415H IPS display is an excellent piece of electronics which has industry-leading qualities with an affordable price tag. You can pick up from the 24” and 27” options of the display. The integrated speakers of the screen will offer a crisp and sharp audio output to make you relax while tracking the stocks. The seamless widescreen with crystal clear visuals provides a great viewing experience. 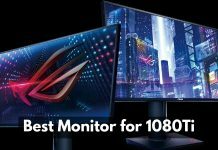 This LED-lit monitor has a native resolution of 1920 x 1080 pixels with a 60Hz refresh rate. The ultra-thin bezel offers a virtually borderless design to get a seamless visual when you make dual monitor or triple monitor setup. It comes with one VGA port, one HDMI port, one audio jack, and one headphone jack. 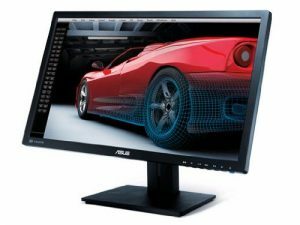 Moving towards bigger, widescreen displays; one of the most famous stock trading monitors is the ASUS PB278Q. You can trust its quality of work, honesty, sophisticated features, and gold-standard specifications. You will get stunning visuals on its WQHD screen with a 2560 x 1440 (1440P) pixels native resolution, 178-degree viewing angles, and sRGB ratio of 100%. It is built with an ASUS eye care technology to reduce the eye fatigue. The ergonomic stand comes with the swivel, pivot, tilt, and height adjustments along with the wall-mounting ability which gives you the comfort of viewing as per your sitting position. It comes with six preset video modes including Game, Theater, Scenery, sRGB, Night View, and Standard to allow you to visualize the best picture quality as per your preferences. Apart from 27”, there are also options of 23”, 28” and 32” screen sizes to choose from. The company provides a 3-year warranty on the product to allow you to have a hassle-free purchase. 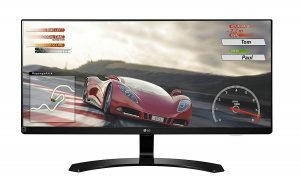 This 29” widescreen IPS huge screen monitor from LG has all the features and specifications that you need to track the stock market. It is wide enough to display multiple charts on a single screen with a comfortable viewing of all. Through the modern technology built and user-friendly characteristics, this LG screen is one of the best stock trading monitors. 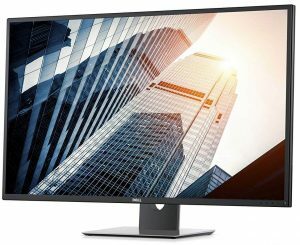 This ultra wide screen has a Full HD (FHD) resolution of 2560 x 1080 pixels (1080P) with a 21:9 aspect ratio. The IPS monitor has an sRGB ratio of above 99% which means you will get true color experience from any angle. The screen split 2.0 (PIP) mode will allow you to use two apps in parallel to improve your productivity. It has an inbuilt game mode and black stabilizer with a 5ms GTG response time to make your viewing smoother and more comfortable. 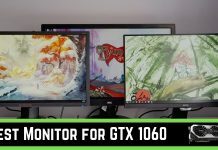 The AMD FreeSync, advanced synchronization technology, will minimize the screen tearing and stuttering when you connect it to the Display Port. It has one DisplayPort, one audio jack, and two HDMI ports as the connectivity options. You can have the additional height adjustable stand or can mount this screen on the wall as per your comfort. 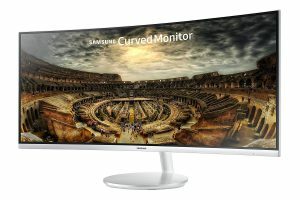 A huge sized curved monitor from Samsung is at the sixth place in this list of the top trading displays. 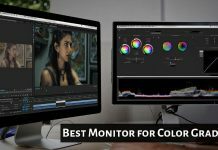 It is rated as the best ultra wide monitors in its category by the experts. Stellar contrast ratio, slick design, excellent visual quality, and extreme color accuracy are some of its selling points. This 1500R curvature widescreen display has a size of 34” which will provide you with an immersible visual experience. The 21:9 ultrawide display allows you to do multitasking by splitting the screen for running multiple applications at the same time. The Ultra WQHD technology offers a screen resolution of 3440 x 1440 pixels (1440P monitor) which is almost 2.5 times more pixel density than an FHD display. The AMD FreeSync technology with a 4ms response time and 100Hz refresh rate will offer a flawless picture quality. It comes with built-in 7W speakers which let you enjoy music and other multimedia content to feel relaxed. This display comes with two HDMI ports, one Display Port, and two USB ports to connect your multiple devices to it. You will get a one-year standard warranty from the company. This last product in the list is the biggest from them all. Due to its multi-client display, it is one of the most recommended stock trading monitors. It will deliver sharp 4K images with accurate colors to let you enjoy crisp & clear visuals. Its expansive 43” display offers Ultra HD 4K resolution without any bezel break. The right color consistency across the wide-angle viewing will provide explicit collaborations and excellent visibility. This huge screen display is quite easy to, and even if you are installing a system for the first time, you will not face any issues. It has one DisplayPort, one Mini DisplayPort, two HDMI ports, one VGA port, four USB 3.0 ports, one USB 3.0 upstream port, one serial port, one Audio in port, and one headphone port which means you will not miss any device to connect with your monitor system. This screen can display images from up to four different sources at a time. It comes with two 8W built-in speakers who will provide soothing sound output to make you relax. The IPS panel has a 16:9 aspect ratio, 8ms GTG response time, 1000:1 dynamic contrast ratio, and a 60Hz refresh rate. All the displays mentioned here are top-rated and reviewed as perfect stock trading screens by the experts. But, when you have to pick the most perfect and compatible monitor for your stock market tracking requirements, there are a few indicators that you can check on it. Size: The size of the screen depends on your need like a single big screen monitor or a multi-monitor setup with some mid-sized screens. But even if you go for a single small display, it is advisable that you not go for the screen less than 23-inch size. Resolution: There are 4K displays already available in the market. But, they are quite expensive, and you really don’t need them for your trade monitoring. You can go for a Full HD monitor which offers crisp and sharp visuals on its 1080P screen. And if you have a budget, then you can go for a 1440P monitor or even a 4K display. Contrast Ratio: This factor is not considered by many people who buy a new display or upgrade their old screens. But a contrast ratio does affect the overall viewing experience. It is the difference between the darkest black and whitest white that a display can reproduce. The more contrast ratio the screen has, the better it is. But, do crosscheck the specification twice if you see the number higher than 3000:1 as it may be a marketing tactic by the brand. If you want to become a successful trader, then it is advisable to invest in good and useful tools that can help you to track the market. A top-quality trading monitor can surely help you to explore more opportunities and scale your abilities. 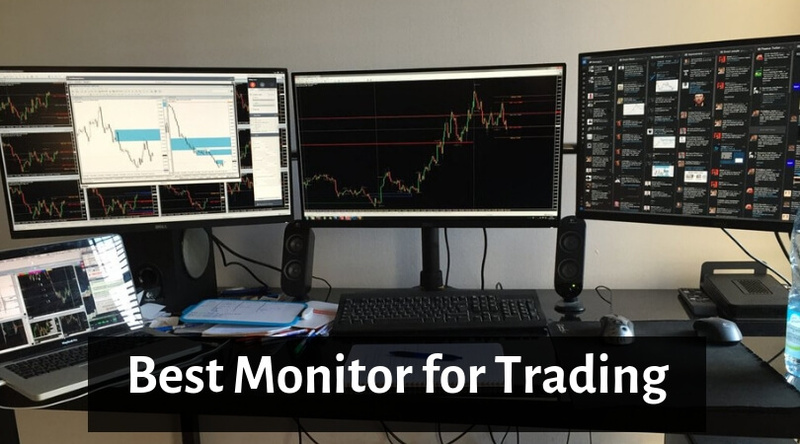 In a nutshell, the screen which suits your needs & budget perfectly and propels your productivity to achieve the new level in stock trading is the best monitor you can get.